Heal your SELF. Give yourself the "gift of time" to connect in with your body with simple, easy, restful alignment. This yoga is useful for those that are tight, stressed, have injuries or simply need a space to regroup, drop-in and ground. For newBE's and oldBE's alile - ALL LEVELS are invited to retreat and engage with the intimate intelligence of the body/mind/spirit from a deep level of quiet, individual awareness and JOY! 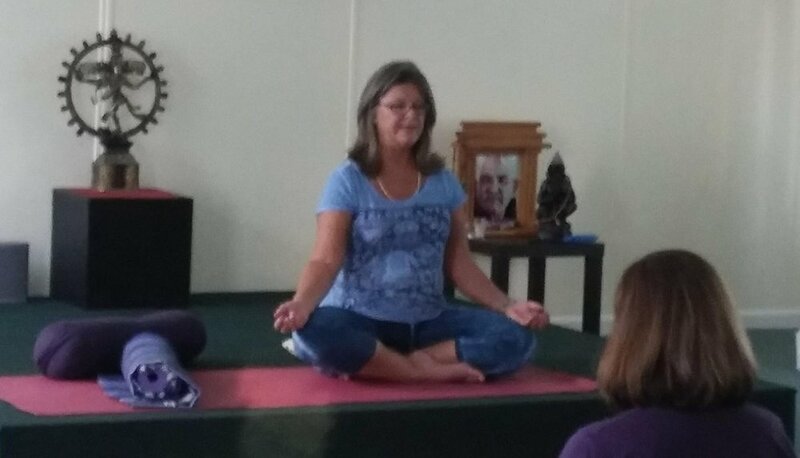 Teaching in an eclectic style, Shivani has been involved in the study and practice of yoga and meditation since the early 70's. Shivani is a transpersonal psychotherapist using diverse somatic modalities, healing meditation, breath, expressive arts and art/movement therapies. Shivani is inspired by the awareness of the inner body connection after several severe injuries. She teaches "Healing Yoga" as a way to connect with your body with natural, effortless alignment.